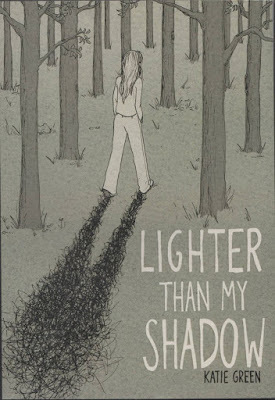 * Philippe LeBlanc reviews LIGHTER THAN MY SHADOW by Katie Green, which "is genuinely moving and a remarkable achievement." * Holly Raidl on M.J. Wallace's BI THE WAY, which "expresses an enthusiastic approach to its subject matter which is realized in both its welcoming nature and the pure happiness exuded by Wallace's journey of self-discovery." * Jazmine Joyner reviews BRAZEN: REBEL LADIES WHO ROCKED THE WORLD by Penelope Bagieu, calling it "a diverse, and unabashed look into history and telling the stories many history books are too scared to print on their pages." * Andy Oliver writes about THE TIMES I KNEW I WAS GAY by Eleanor Crewes, which "consolidates isolated moments in the life of its author into a greater whole. Mixing comics and illustrated text episodically, Crewes is perceptive enough to know when to let her imagery do all the talking and when to make use of a prose style that is lyrical and free-flowing in construction." * Rachel Davies reviews WHY ART? by Eleanor Davis, wherein "Davis proves herself as a master of tone, interrogating traditional means of storytelling, and deliberately playing with he way that readers access narratives." * John Seven on Jason Novak's ET TU, BRUTE? THE DEATHS OF THE ROMAN EMPERORS, writing "The lesson of Novak's book, though, is that once you have transformed something into chaos, chaos is going to follow..." Truly a lesson for our times. * Tom Murphy talks about GHOSTS, ETC by George Wylesol. It's good to see this book still getting press. * Noah Berlatsky reviews OUT OF NOTHING by Daniel Locke and David Blandy, and doesn't like it very much, saying, "Locke and Blandy want to tell the story of the universe with great sweep and resonance; they want science to have the force of myth. But science is a tool, not a meaning for existence. Without God, there's no myth. There's just that skull, and, like Out of Nothing, skulls don't have much to say." Personally, I couldn't disagree with Berlatsky more about this book. I've been working on a review of it for about a month now and I do hope someday I'll be able to publish it and explain why Berlatsky gets it all wrong. * Ardo Omer interviews GG "about how she makes her comics, why the quest for freedom keeps coming up in her stories, and, more importantly, what's up with the pink?" * Teddy Jamieson interviews JOHN PORCELLINO about his new book, From Lone Mountain, as well as "about life and poetry and the challenge of keeping things simple." 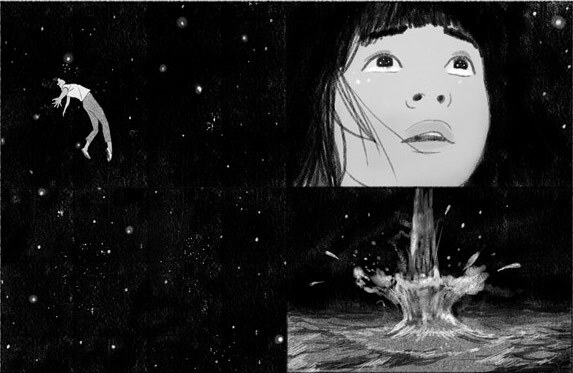 * Jillian Tamaki in conversation with ELEANOR DAVIS is one of the best interviews I read all week. * RON WIMBERLY is on the Ghostshrimp and Friends Podcast talking about "early comic inspirations, the evolution of 90s visual culture, professional work ethic, finding out how the industry sausage is made, and main-stream projects vs dream projects." * Austin Lanari writes a piece for Loser City called HERE'S AN IDEA FOR A FUNHOUSE: PAY THE DAMN CARTOONISTS focused on the practices of the recent Desert Island and SoHo based Drawing Center event where exhibitors were expected to produce original art for free. * Jacob Brogan announces THE WINNERS OF THE SIXTH CARTOONIST STUDIO PRIZE selected by the Slate Book Review and the Center for Cartoon Studies. * Want to know why Comics Twitter Will Break Your Heart? Then read Asher Elbein's piece on The Daily Beast titled #COMICSGATE: HOW AN ANTI-DIVERSITY HARASSMENT CAMPAIGN IN COMICS GOT UGLY -- AND PROFITABLE. * Wesley Yang writes this piece over on Tablet called MICROAGGRESSIONS: WHY THE RACIAL FUTURE OF AMERICA HINGES UPON ASIAN AMERICANS. * Finally, shout out to my friend Keith Silva, who pointed me towards Grace Lee's amazing video DAVID LYNCH: THE TREACHERY OF LANGUAGE.